I came up with these biscuits a few years ago when my Dad needed to eat gluten free for a while. 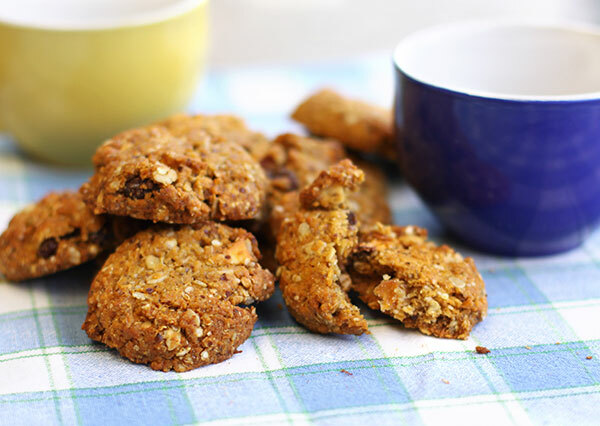 Based on a traditional Anzac biscuit recipe, these biscuits are made with gluten-free flour, a mixture of different flakes & honey (although you can use the traditional golden syrup). I've also added some dried fruit (use a mix of whatever you have). 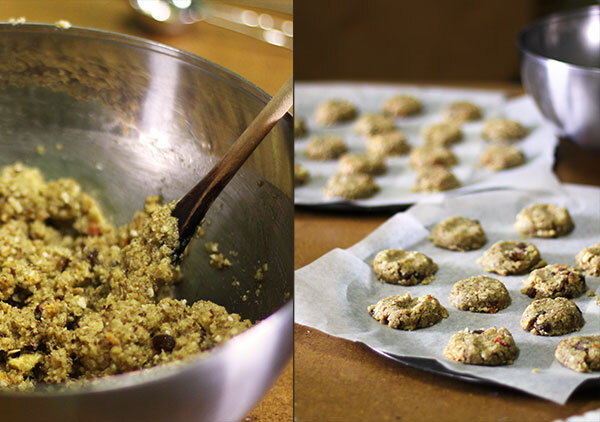 The mix of flakes in this batch is quinoa, brown rice, millet, amaranth & oats**. Use whatever you have, although I do advise a mix of sizes - if all your flakes are tiny, it will affect the texture. 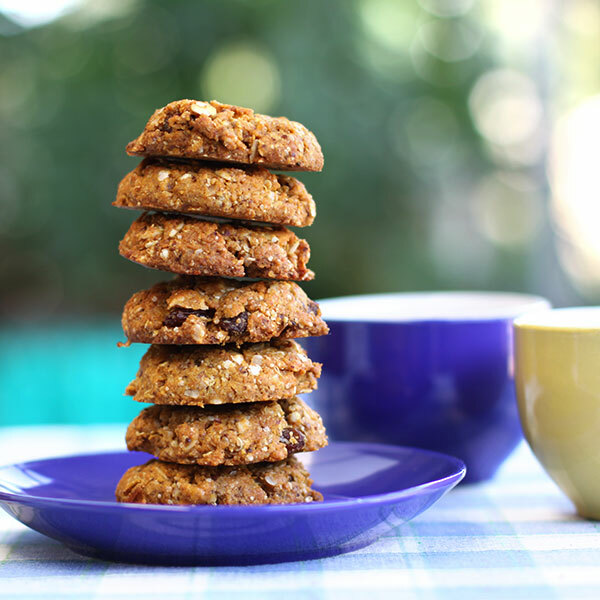 These are perfect with a cup of tea & keep very well. I'm baking for lots of people, so I generally make a double batch. Preheat oven to 180C (350F) & line trays with baking paper. Sift flour into a mixing bowl, add sugar, flakes, LSA, coconut, dried fruit & stir to combine. Make a well in the centre. Put butter & honey into a small pan, stir over low heat until butter is melted & mixture is smooth. Remove from heat. Dissolve soda in water; add immediately to butter mix. It will foam up instantly. Add to dry ingredients & using a wooden spoon, stir until well combined. Drop tightly packed tablespoonfuls*** of the mix onto trays & flatten slightly. Leave on trays for 5 min, before transferring to a wire rack to cool completely. If you don't have these flours, or you want to try a different combination, go read this post on Gluten Free Girl, there are lots of alternatives. 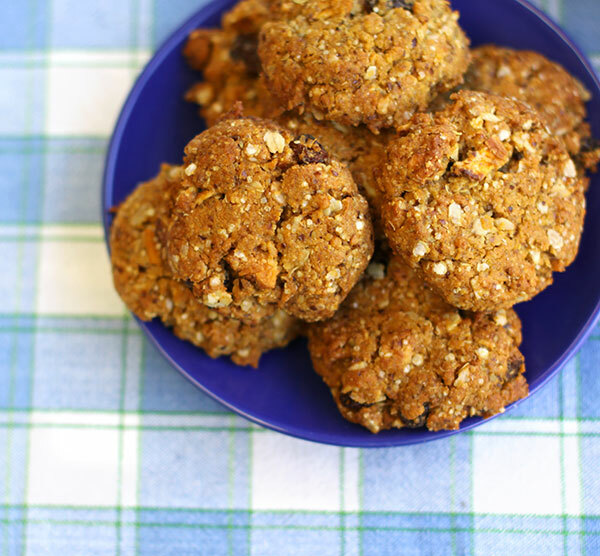 **we're not strictly gluten-free & so I often also add oats to the biscuits. I've read different things about the gluten content of oats, so if you are baking for someone who is celiac, don't put any in. ***my tablespoon is the standard Australian size of 20ml - the standard size in some countries is 15ml. 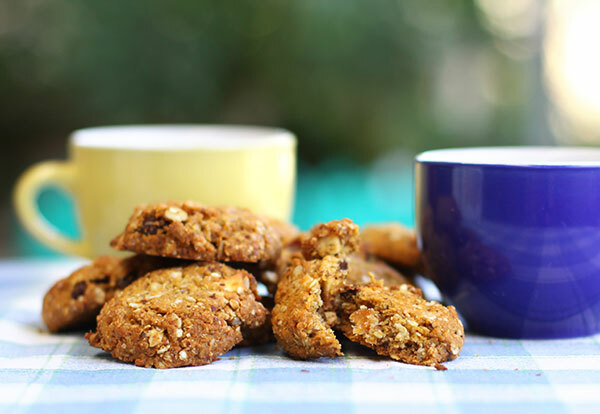 If you are using a 15ml tablespoon, your biscuits might bake quicker.